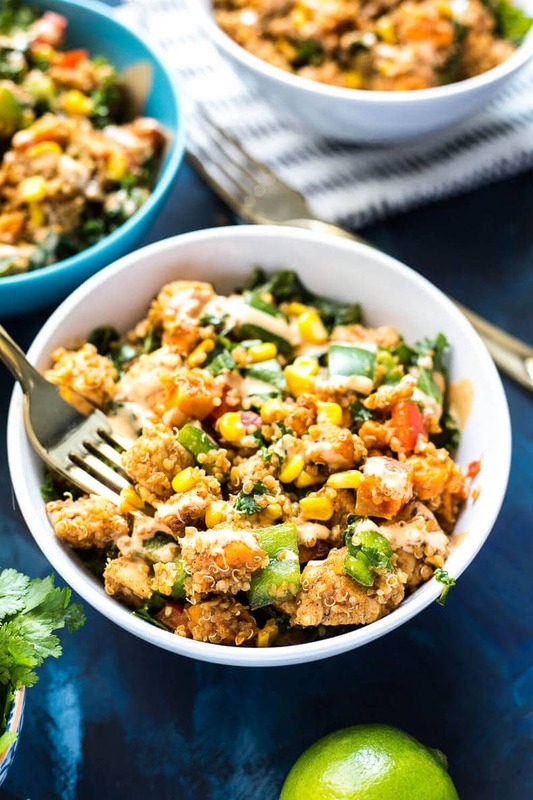 These Chipotle Sweet Potato & Quinoa Lunch Bowls are the ultimate make-ahead lunch, filled with tons of veggies and chicken, then drizzled with a spicy chipotle sauce! Oh hi thereeeeee new favourite lunch bowl. 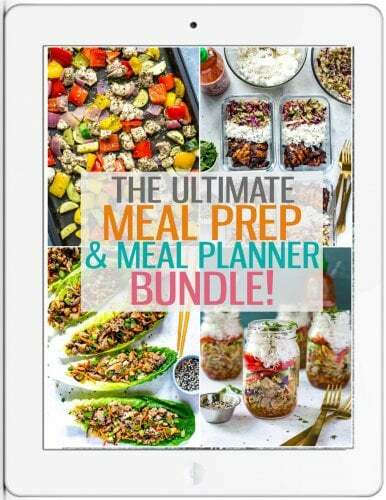 Meal prep this weekend? We got this.? These Chipotle Sweet Potato & Quinoa Lunch Bowls have literally been getting me through the past two weeks straight. 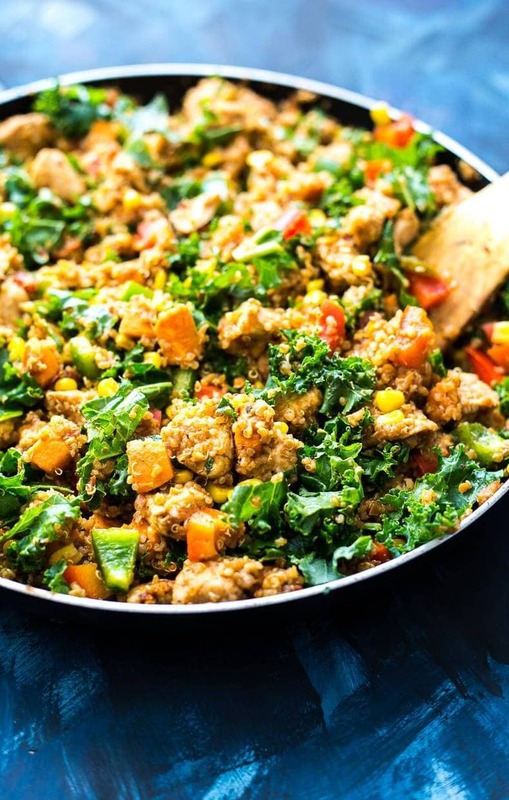 They're so easy to make in bulk, they've got all the protein you could possibly want to keep you full for the rest of the day, and they've even got chipotle sauce drizzled overtop. I know it may sound a little over the top but lunch is a really big deal to me. It's that one meal that can make or break your day. Now that I've gotten really into health and fitness, I have started getting used to the signals my body gives me. I've learned with time that maintaining optimal energy levels throughout the day is not just all about how much sleep you get at night or how much coffee you've had. It's more about what you're eating, and when, in order to control your blood sugar levels. Honestly, if I ever go more than three or four hours without eating, especially earlier on in the day, I not only get hangry but I also find that after I eat, I am absolutely comatose. To combat this, I have literally timed when I eat all my meals. If I wake up at 7:30am, I'm eating breakfast by 9:00am and then I'm having lunch by 2:30pm with a mid-morning snack in between. Then I get in another snack pre- or post-workout around 6:30pm, and dinner is at 9pm. Okay, I lie, it usually ends up not being until 10pm most nights. But that is literally because I work crazy hours. That's not my fault *says me as my own boss*.? 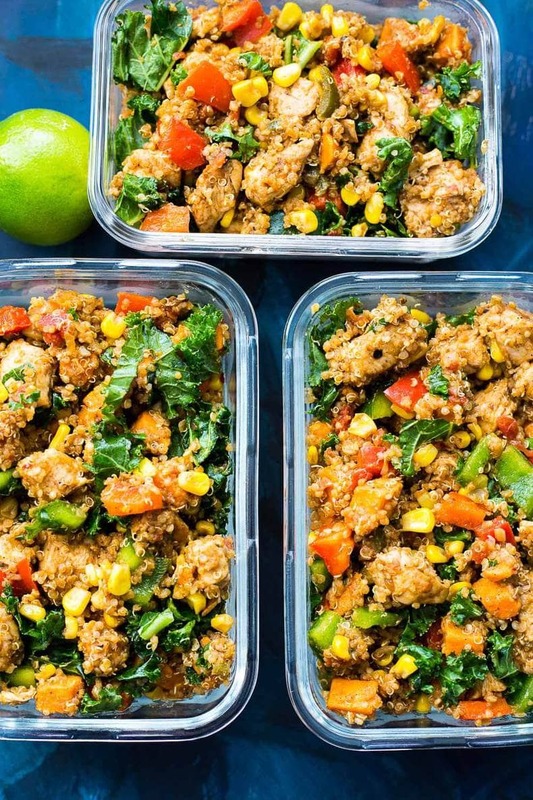 So long story short, having these Chipotle Sweet Potato & Quinoa Lunch Bowls on hand, ready to go in the fridge is SO key to maintaining success at work and keeping my energy levels up. Because your day doesn't always go as planned. You should have at least something you can really count on, right??? Since my Meal Prep Fiesta Chicken Rice Bowls, I have been making a variation of lunch bowls for the work week each Sunday or Monday for the past little while. Even though I work from home, it's just this amazing feeling to wake up and know you've got a healthy lunch covered for the day. Without even thinking, I have been making these to eat A LOT. Then I was like…maybe if I'm eating them so much I should bring the recipe to the blog. *Lightbulb goes off* Now there's an idea!? 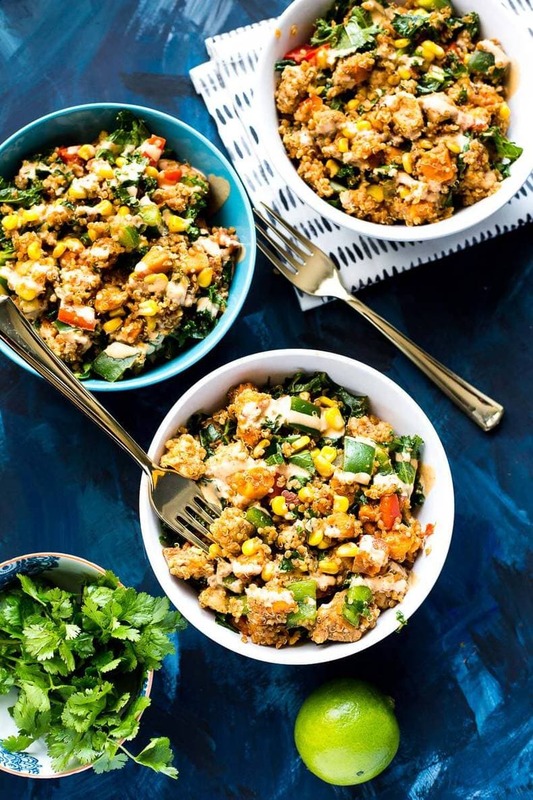 If I love these Chipotle Sweet Potato & Quinoa Lunch Bowls so much, you really should give them a try. I promise it won't take more than 45 minutes this weekend, and you'll be so happy to have a bunch of delicious lunchbowls for the whole week. You can even kinda switch up the flavours if you have different sauces on hand in the fridge. They don't have to necessarily be my homemade chipotle sauce either. Yes, I'm totally giving you permission to cheat and use the tiniest bit of storebought garlic/chipotle mayo or a little bit of sundried tomato dressing or buffalo wing hot sauce. It's up to you. I won't tell if you won't.? But for realz, the chipotle is my fave. I wouldn't mess up a good thing if I were you. Get on that ASAP. This tahini-cilantro sauce from my kale buddha bowls works well too. These bowls are a variation of my fave kale and quinoa bowls that I sometimes get at one of my fave Toronto restaurants, b.good. There's something about the combination of the two superfoods that really makes you feel as though your meal today will make a difference, you know what I'm saying? 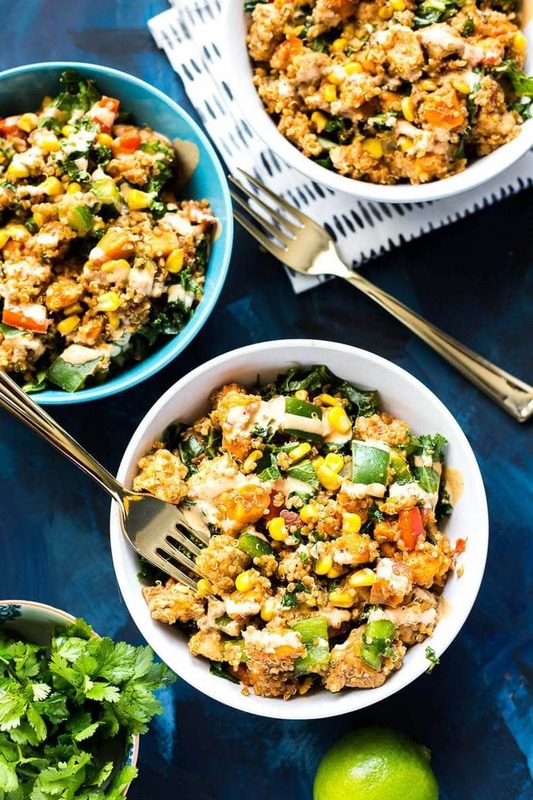 You can never go wrong with make ahead lunch bowls like these, that's for sure. 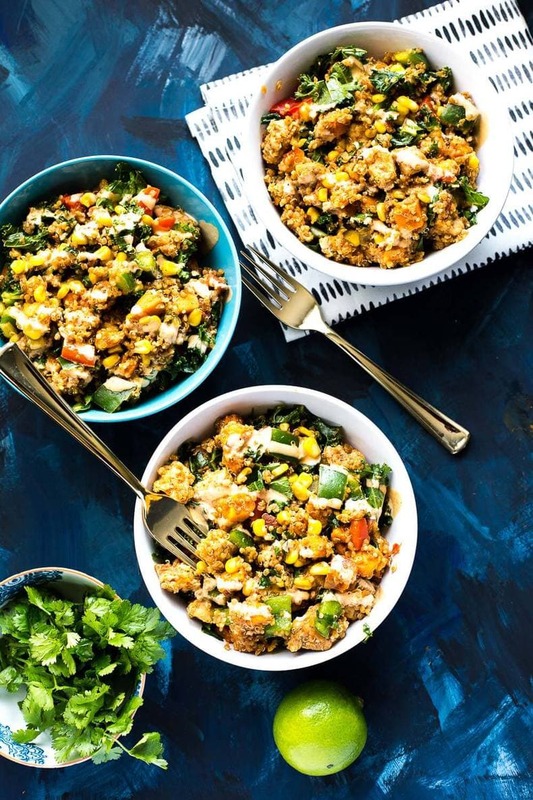 Will you be making these Chipotle Sweet Potato & Quinoa Lunch Bowls? Let me know what kinds of lunch bowls you're eating lately! 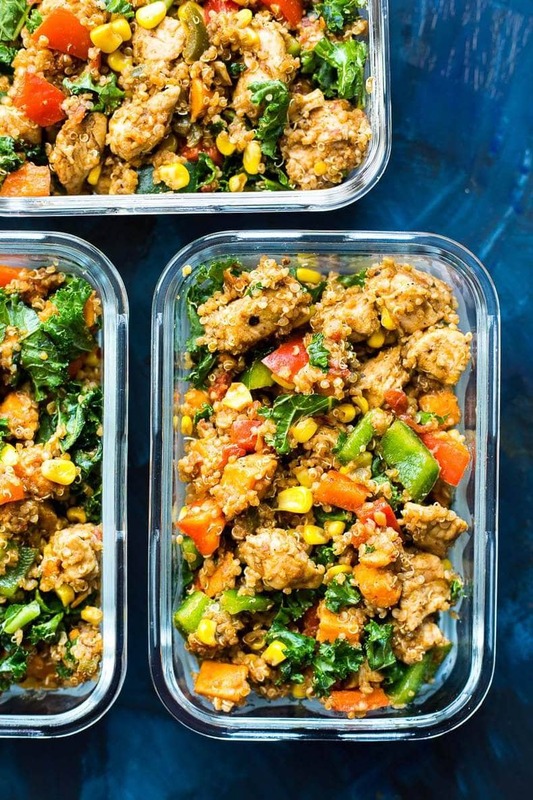 Grab some Glass meal prep bowls if you plan on packing these bowls up for lunch! And of course I get all my free-range chicken breasts from Butcher Box! In a large pan, heat olive oil over med-high heat. Add sweet potato, sauteeing for 8-10 min until browned and softened. Add chicken, chili powder and salt and cook for 10 min until browned. Meanwhile, cook quinoa according to package directions and make chipotle sauce by mixing all ingredients together. Add corn and bell peppers to skillet, sauteeing for a couple min. Add quinoa and fresh salsa. Stir in kale and remove from heat. Serve immediately or pack into reusable containers. Serve with chipotle sauce on the side and cilantro on top. Taylor, I just wanted to inform you that there were no instructions for the sweet potato in the recipe. I also noticed corn in the picture, and there was no mention of corn. I ended up cooking the sweet potato in a skillet with some cumin and chili pepper and adding some frozen corn I found in my freezer. I too <3 quinoa bowls, and wanted to pass along my thoughts to make the recipe more clear for everyone else. Ended up tasting great though. I just finishing making these for the week!! 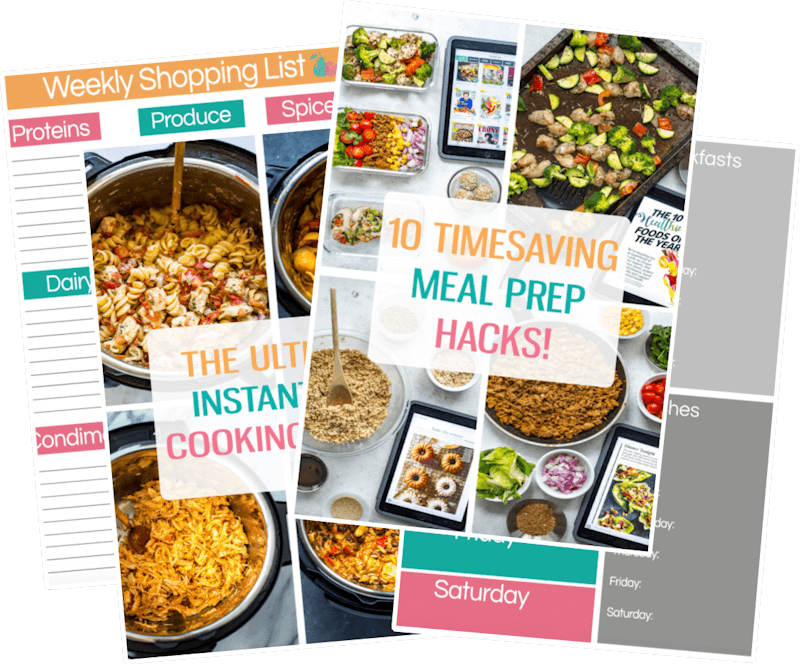 I follow your blog and meal prep every week, so I love seeing everything you post and I’ve tried a bunch of things! I switched my bowls up a little from yours, no reason really just used what I had! I added squash and jalapeno to the quinoa, and then I cooked the chicken in the oven and added it to my meal prep bowls at the end. I only did this because I might not need all of that chicken one day so I can add it when I’m feeling like I need a little more protein. For the sauce, I went with plain Greek yogurt instead and it tasted amazing! Keep the recipes coming because I LOVE them…PS, I just followed you on Insta on my food account…@squidroskitchen. I’m just starting, not quite up to your status yet but hopefully someday!! OMG just saw the pic on Instagram Sydney, LOVE IT!!!! Thanks so much for sharing your process with me and the kind words <3 I love these bowls because they are so versatile. I'm in a huge squash mood myself lately so good sub in on your end! 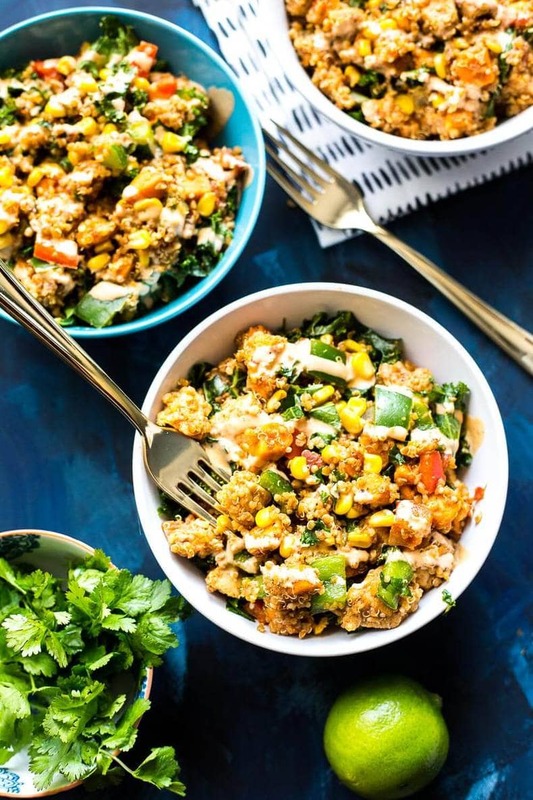 Love the idea of leaving the chicken on the side too, there's already protein with the quinoa and these bowls are so filling. So happy you've had the chance to try some of my recipes, you've seriously just made my day!!! Hey Taylor! I have never frozen it before so I wouldn’t recommend it. You could try though – I’m just not sure how well it would thaw and what the textures would be like after! Hi, can you advise what is in the “fresh salsa”?